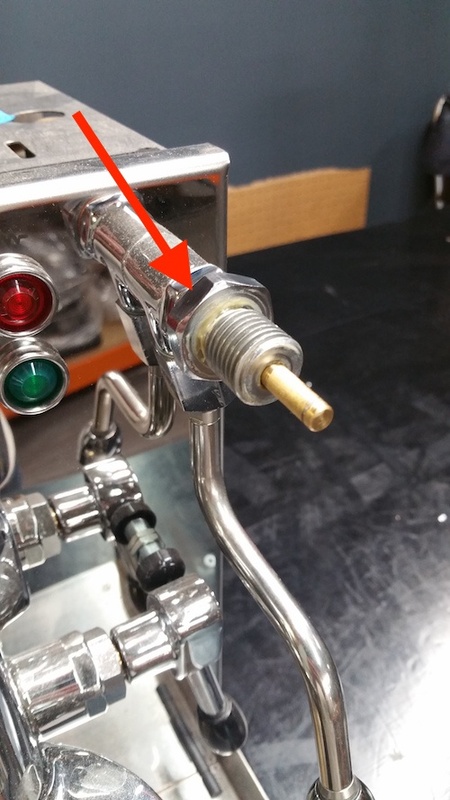 Below you will find instructions for cleaning or replacing the steam and hot water arm gasket in the Quick Mill Andreja Premium espresso machine. The machine will need to be off and cooled down before doing this procedure. 1. Remove the silver cap from the front of the knob, and pop off the small e-clip on the end of the post pointed out here. 2. 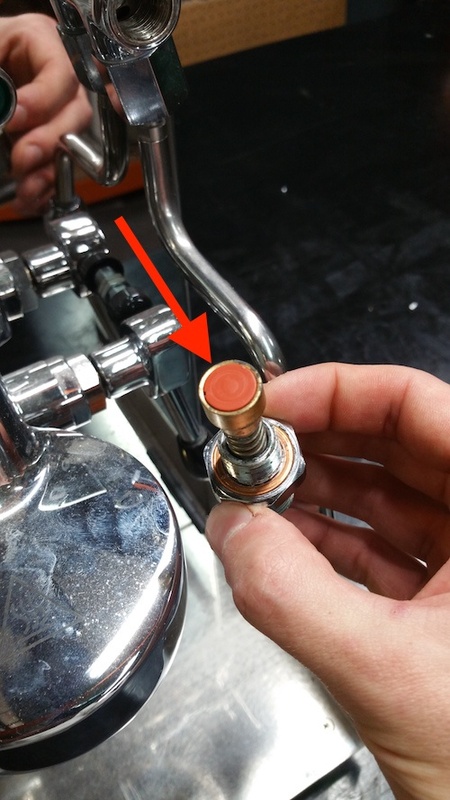 Unthread the knob all the way off, and then use the adjustable wrench to unthread the rear part of the knob assembly. 3. 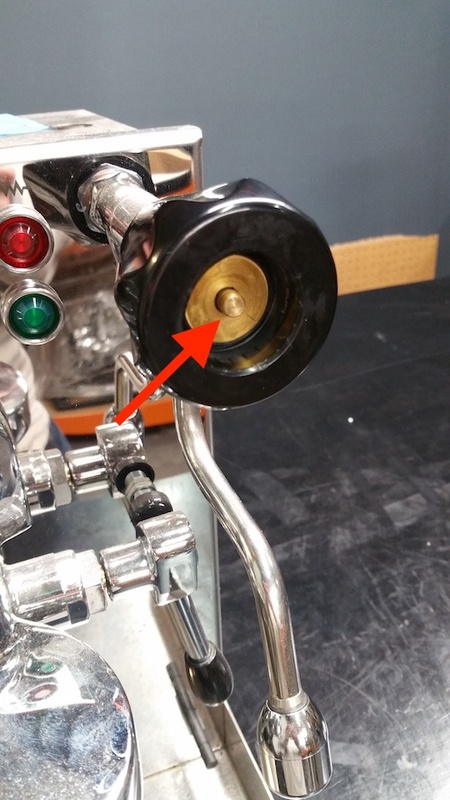 From here you can clean off the gasket, replace it, or even just flip the gasket over to create a new flat side for the valve to seal with.